Juan Gris’s vibrant painting entitled Violon et Guitare sold for an astounding $28,642,500 Million at Christie’s New York on 3rd November 2010. Violin and Guitar (1913) was actually a personal favourite of Juan Gris and is widely believed to be one of the most significant cubist still lifes to ever come to auction. “It is a symphony of colour, line and symbols. A very sophisticated piece but at the same time very sensual,” declared Christie’s Conor Jordan. The last time a Gris painting came to auction was in 2008 with the painting “Book, Pipe and Glasses”, which sold for $20.8 Million. Are you a fan of Spanish artist Juan Gris? You can view more of Juan Gris paintings at the Gris online gallery and if you would like to commission a fine art reproduction oil painting of this fantastic Gris painting or see some of our examples, please just let us know. Prices start from £220. 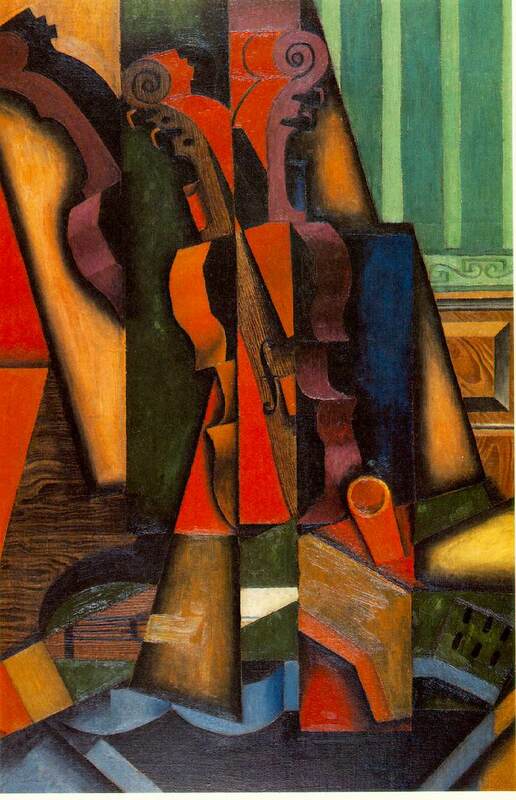 Is juan Gris “Violin and Guitar” a collage or an oil painting that looks like a collage? It’s an oil painting that looks like a collage.